Coates Butchers is owned and run by Ivan Lowther who having managed H Coates and Son for many years took over the shop at Coxhoe. Keeping the name as Coates Butchers as a mark of respect to his former Boss Harry Coates Snr. Ivan and his butchery staff remain committed all of the old recipes and traditional methods that had made the Coates name synonymous with superior quality and taste. 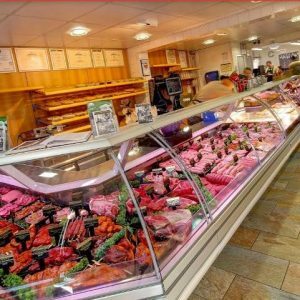 These butchery methods are carried out in full view of the customers by out skilled butchers who have over 50 years of butchery the Coates way between them. Butchery classes are available, please contact us for details. 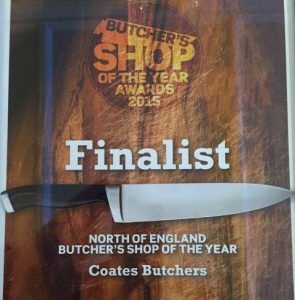 ‘At Coates Butchers we are committed to manufacturing and supplying only the best quality products and have won many prestigious Smithfield awards, the industries major awards. This event is run by the Butchers Q Guild an organisation representing the countries elite butchers of which Coates Butchers are members gaining A grade standards for quality, service and hygiene’. Coates Butchers in Coxhoe are independent and not associated with any other butchers in the area.